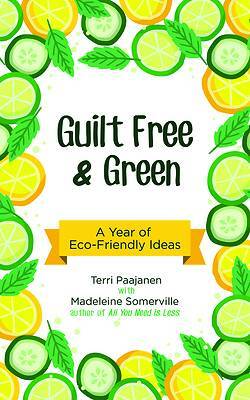 Learn new eco-friendly, sustainable living ideas from Terri Paajanen who has been successfully practicing green living on her 5 acres for the past 7 years Green living: More than just a guide, Guilt Free & Green offers planet positive alternatives and not just the obvious ones. This inspiring how-to book teaches you with easy-to-remember ideas that actually are practical and with money-saving ideas that make you want to live green and stay there. Readers are encouraged to use resources differently and to view the world in a new way. Guilt Free & Green is a truly great addition to the gotta-go-green genre. Sustainable living: Whether you have been an avid environmentalist for years or are just getting started, this book gives new and interesting ideas. Half the battle is changing your habits and getting your head around the idea of the change so that it actually happens. This book points to the wisdom of reducing consumption instead of -just- reusing and recycling. The emphasis is on improving quality of life while also making green changes.